Tablet of Destinies: Roll Call (RTJ details in first post) Posted by AO. Something we used to do & I thought it worked well. Because of the nature of the gods their plans often take ages some remain behind the scenes. When it seems the game is running slow you can request a Roll Call. The Roll Call serves to allow the Games of Divinity to continue. Any player may call for a Roll Call in this thread and all still playing the game must answer within this thread with their RTJ which consists of a basic introduction to your character. Players that don't respond in that month will be marked for deletion and their names added to The Book of Forgotten Powers. This thread also serves as a Request to Join this game and get you on the path. New players and new Primary NPC's will be added here. Level: New original characters must begin at the first level - Godling unless you are a Returned God (Have played the game before). You may play an existing character at a higher level but it must be approved by the GM. Sphere of Influence: (X) (X=Number of Spheres held) (Sphere is your expertise what you are the "god of" of course not all immortals necessarily have spheres and spheres are earned through Challenges.) Godlings start with one Lesser Sphere and one Greater Sphere. Pantheons: You may belong to at least one pantheon. Note: Anytime something changes in your RTJ (New Axiom, gaining a Level, Rank, Sphere or Pantheon you must also update it here for public viewing.) You may choose to add whatever additional information here making it available to be seen by the entirety of the immortal hosts. Also: I will be posting some Primary NPC Immortals character info here so to give you an idea of what a character sheet will look like. This message was last edited by the player at 08:02, Wed 07 Dec 2016. If it were not for Ao's involvement in the Time of Troubles, he would most likely be forgotten by mortals. Once again the Tablet had been rewritten at the conclusion of the sixth great maelstrom and hence began the seventh iteration of the multiverse. This message was last edited by the player at 10:00, Sun 04 Dec 2016. Alignment: Tiamat is truly Lawful Evil however on some worlds she is worshiped as Goddess of Primordial Chaos and sometimes mistaken to be Chaotic Evil. While her actions may seem chaotic at times it is merely the flipside of the lawful need for order by having its opposite ring true. 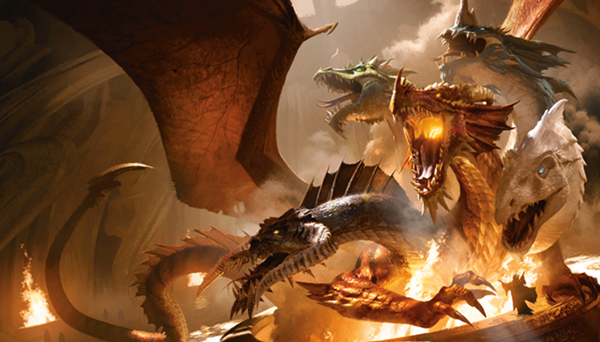 While some believed Tiamat to be killed in the Sixth Age the truth was that Tiamat was one of the original Lords of the Dawn that defeated the Primordials in the Dawn War and as such was reborn in the Seventh Age. This message was last edited by the player at 10:08, Sun 04 Dec 2016.